Posted by Kearsten Chapman on June 6, 2017 at 2:58 PM. Filed under Around the Home, Mobility, News, Power . The shift toward USB Type-C is well underway, and with good reason. With USB-C, we have faster data transfer speeds, faster charging and more power. USB-C cables and connectors are slim enough for phones yet robust enough for laptops and tablets. Thanks to a reversible connector, you can finally say goodbye to the frustration of whether it’s upside down or not, or which end you plug in. Leading manufacturers like Apple, Samsung and Google have already adopted this new technology. Many of the latest devices such as the Google Pixel smartphone, Chromebook, LG G6, Samsung Galaxy S8, and the latest Apple MacBook all support the USB-C standard. As the world moves toward USB-C, it doesn't mean you have to replace all of your current devices right this minute. You just need the right USB-C cable or adapter to start taking advantage of everything it has to offer. Luckily, we have a full range of GE branded cables available to help with the transition. If you're not sure which cable you need check out our full USB-C Guide and Cable Selector chart to help you find all the answers you need. Choosing a certified cable is also very important when using the right USB-C cable. Jasco's GE USB-C cables are certified by USB-IF (USB Implementers Forum) to meet all electrical, mechanical and environmental standards. Our USB-IF certified products have passed rigorous testing to ensure they comply with specifications and work safely and seamlessly with other devices. 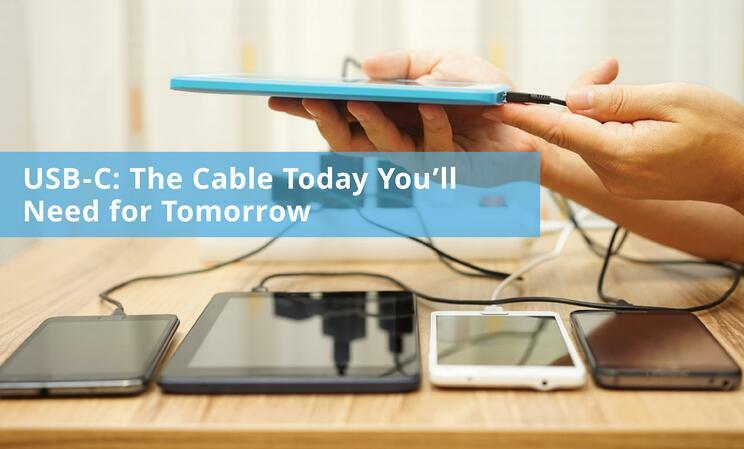 Achieving certification requires higher-grade materials and manufacturing processes to ensure the best possible performance, integrity and production consistency, which may be lacking in cheaper commodity cables from unknown manufacturers. To identify uncertified USB-C cables or accessories, look for the official certification mark on the actual cable or product itself on the product package. Also, check to ensure the consistent design of the certification emblem on the product packaging.